Site Editor Drew Phillips is a veteran automotive journalist with a passion for the Ford Mustang. In addition to founding the MustangsDaily, he also contributes to multiple Ford Mustang publications including 5.0 Mustang & Super Fords, Muscle Mustangs & Fast Fords, Modified Mustangs & Fords and Mustang Monthly. 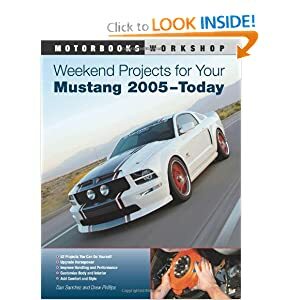 He also co-authored the book "Weekend Projects for Your Mustang 2005-Today" published by Motor Books International.